WORKSHOP is an integral and essential part of the renowned CV Show and underlines the need for regular vehicle maintenance, whether it is for light or heavy trucks, vans or passenger cars. Visitors from any company running vehicles and maintaining its own fleet will find the WORKSHOP zone in hall 4 of special interest. 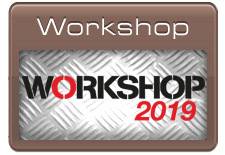 WORKSHOP is an all-encompassing shop window that spans the whole automotive aftermarket and and CV maintenance sector. 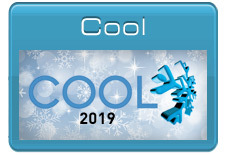 Display any product from the smallest car component to a 44 tonne vehicle lift and prime decision makers from franchised and independent garages, fleet workshops, body repair shops and wholesalers will call on your stand. They will be looking for ideas and solutions often critical to the success or failure of their businesses. Many visitors to WORKSHOP run fleets of trucks, vans and cars. Companies like Centrica, BT and RAC operate huge numbers of vehicles and spend serious sums on replacement parts and garage equipment. The sales opportunities are truly enormous and with an exhibition stand you are on hand, together with your product offering, to meet key buyers face to face. Before WORKSHOP, to reach this national and hugely diverse marketplace meant exhibiting expensively at several events dotted around the country but today, with WORKSHOP as part of the CV Show, a single stand at the NEC in Birmingham from April 30 – May 02 is all you need.